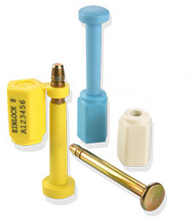 Einlock is a bolt security seal for use with containers and trucks. It has an 80mm pin length, 8mm width, with a coated pin option, is designed for quick and easy application and is supplied in boxes of 250 seals, printed with sequential numbers. It is normally available for dispatch within 2-3days. 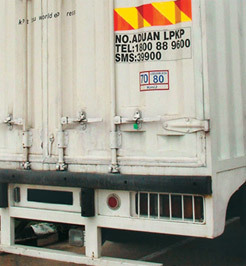 Bolt security seal, suitable for containers and trucks. Pre printed with sequential numbers. 8mm uncoated pin x 250 @ £0.62p ea excl VAT & carriage. 8mm coated pin x 250 @ £0.68p ea excl VAT & carriage. Check out our specials page for smaller quantities.